Miles off the main highway in no where central Utah lies a limestone shale quarry, a forty acre “gold mine” for trilobite enthusiasts. 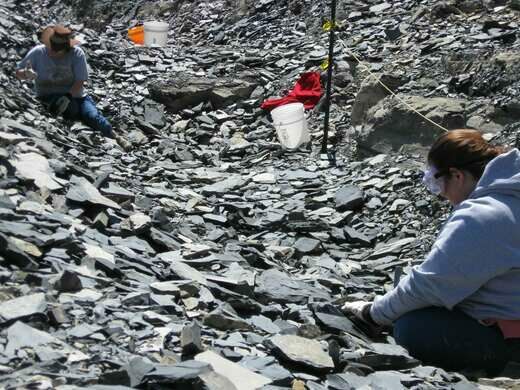 This quarry is one of the richest deposits of trilobites in the world. Trilobites, hard-shelled, invertebrate marine creatures, roamed the ocean floor 500 million years ago. Trilobite fossils can be found relatively easily due to their near prefect preservation in the easily split limestone shale. 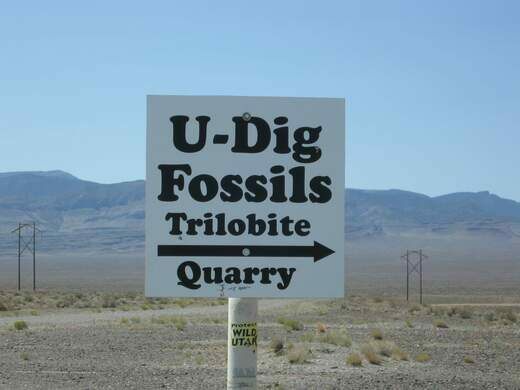 At U-DIG Fossils in Delta, Utah, owners of this prehistoric cemetery provide fossil hunters the opportunity to find the perfect specimen. The U-DIG staff exposes fresh rock with an excavator on a regular basis. Tools can be rented on site and the average visitor finds ten to twenty trilobites in a four-hour period.